Think like a Chess Master to control emotional trading. Every trader sees the market differently because our past, our current lives, and our perceptions are unique. All price action in stocks is critically dependent on emotional reactions from varying market participants. Without emotions, price sits flat. There are many degrees of emotional surges, waves of euphoria and greed, and waves of panic and despair that drive prices up or down. And always within those waves are the killer rip-tides that come from those who have learned to control emotions, and wipe out those who do not have control. Ultimately, success in the market is a combination of anticipating the next move and the moves of all the other market participants who may enter that stock, and determining when you should participate. Unfortunately, most traders trade the market not as if they were playing chess with the complexity of the bluff of poker, but as if they were in Las Vegas, gambling on a roulette wheel. In the world of stock trading there are Master Traders who have control over their emotions and then there are the Gambler traders who buy and sell based purely on emotion whether they realize it or not. 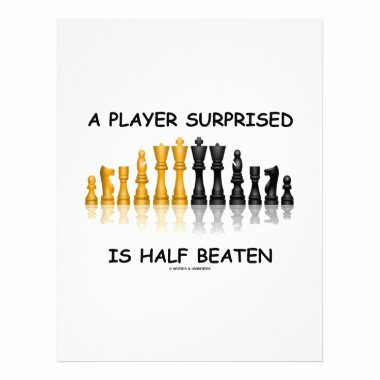 A Master Trader combines the skill of a chess player who anticipates an opponent’s moves and plans his own well in advance and also uses the poker player’s bluff in never revealing his hand before he chooses to reveal it. A gambler is simply reacting to his emotions without logic or forethought in what he does. It is also important to realize that you do not come to the market as a blank page. 1. Know what you are going to do before you do it. 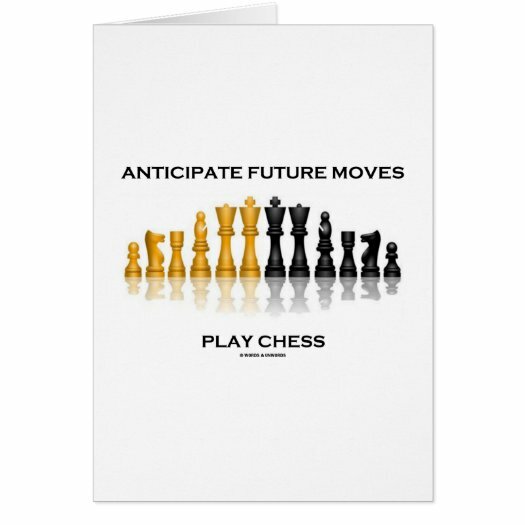 A Master Chess Player is at least 6 moves ahead of his opponent at every step in the game of Chess. A Master Trader identifies the market participants in that stock at that moment, determines when the next level of market participants will buy, decides a specific price for entry, and has one or more exit strategies planned for that stock trade before he ever places an order. 2. Develop your own unique Trading Style. Too often traders simply follow the crowd. Instead you should develop your own unique trading style. A trading style is not a strategy. It is a set of parameters or rules that you adhere to strictly, ignoring rare anomalies that occur in your trading from time to time that go against your rules. Your trading style should also ignore gimmicks, fads, and ‘hot new strategies’ that are constantly being promoted to crowd traders. If you establish a set of parameters for your trading, write those rules down, and follow them while ignoring the crowd mentality of most small retail traders, you will begin to establish strong emotional control in your trading decisions. The trick is writing the parameters down and then sticking to those rules. 3.Treat it like a Business. If you want to make trading a full time career, you must treat it as any professional would in any career. View trading as a business rather than just a hobby and your entire emotional level will change. Set up an office that is quiet, well organized, and far away from distractions. Keeping your trading computer in the family room is just asking for poor trading results. Maintain accurate records of every transaction you make. Document all of your trading efforts in a Trading Journal. All professionals keep journals or logs to track their performance over time. All serious traders should also have journals or logs that detail what they have done. That way you can easily go back and study what happened before and compare to current patterns. Professionals never stop learning. 4. Paper Trade on an ongoing basis. Test Theories before implementing them. Too often traders learn a new strategy or think of a new theory about trading and then rush in to the market without testing that theory or strategy. The end result is loss, often huge losses. A doctor wouldn’t test a theory on a live patient. Theories are tested in the lab for many years before they are used successfully on patients. The ideal way to test your theories or ideas is to simulate trade the current market for a period of time. 5. Be Self-Reliant and take responsibility for your trades. When a trader lacks self-confidence, they run around trying to find someone else to make their decisions for them. They buy dozens of newsletters that recommend stocks, watch news on TV that recommend stocks, and listen to numerous “gurus” touting great picks. This is the realm of insecure traders and their performance and success in the stock market is dismal. To be highly successful at anything, you must take responsibility for your own actions. You must learn to depend upon yourself and your ability to make sound decisions. IF you are a novice trader, just starting to trade with limited experience, choose one mentor to guide you while you develop your self-confidence and skills for trading. Don’t listen to every guru and TV commentator as this will only confuse you. Find someone who can help you develop your own unique trading style and wants to teach you to becoming self-reliant. Practice, experience, and skill will create self-confidence. You can’t over-practice trading. Behave professionally and treat your trading as a business. Develop your own unique trading style and don’t follow the crowd. Be self-reliant and develop self-confidence before trading live in the market. Know your financial self-worth and risk tolerance and strive to continually improve both of these areas. Realize that trading is a process and that you will always be in a professional learning mode. Have a passion for what you do but don’t allow passion to rule your trading decisions. If you do all of these things, you will trade with controlled emotions and will have consistent success as a stock or options trader. Think like a Chess Master to control emotional trading.